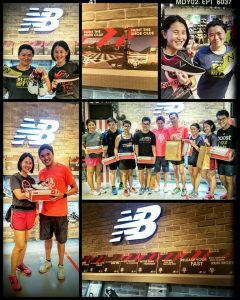 Pre-Race Review: New Balance Run On SG Lead-Up Training Run Sessions 01 & 02 | JustRunLah! Joining a running group or a training run session of a run event is a great way to improve on your running, learn new things and at the same time make new friends. 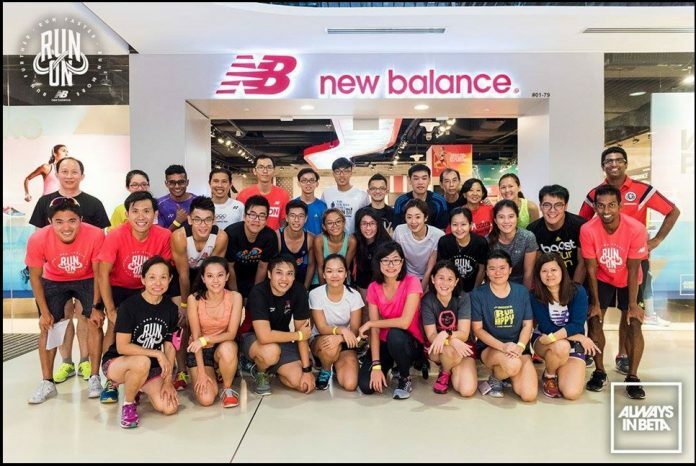 I recently had the chance to attend both lead up training run sessions organised by New Balance Singapore. 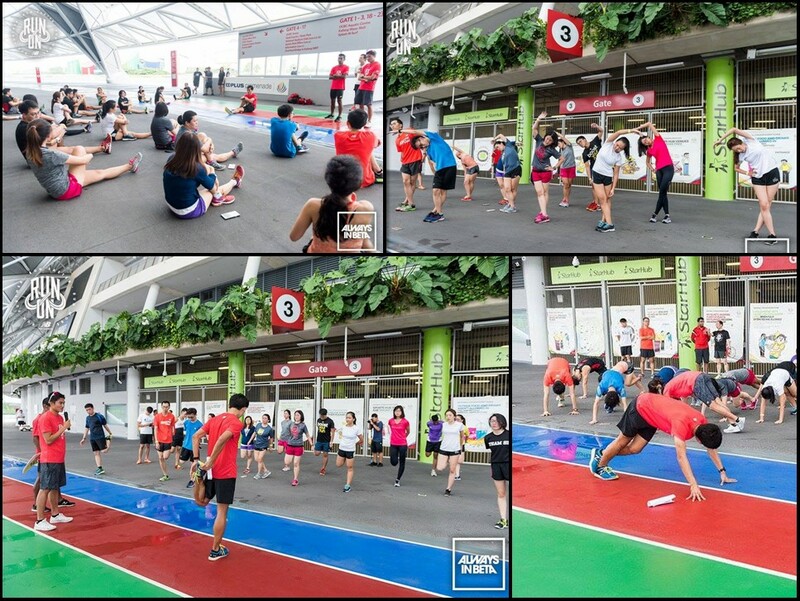 These training run sessions were for participants of the New Balance Run On Singapore Event happening next Saturday, 20 August 2016 at the Gardens By The Bay (East). The distance for this year New Balance Run On Singapore Event will be 7km, but participants can opt to do an additional 1km to go the distance and would be rewarded with an exclusive NB Run On Achievement Badge! I will blog more about this event after the race. 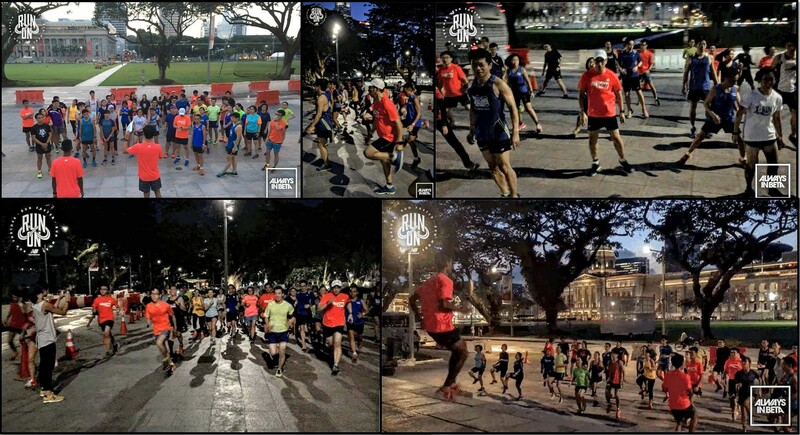 There were two training runs and the organisers had come up with some really fun and creative ways to make these sessions more interesting! 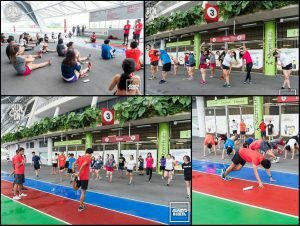 The first training run was held on the 17 July 2016 at the Singapore Sports Hub. 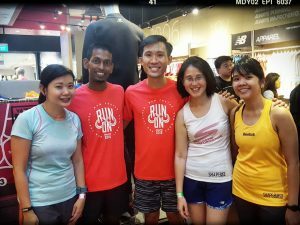 This training run had 2 components, a fun workout run session and a super cool shoe hunt which would bring you around the Singapore Sports Hub. 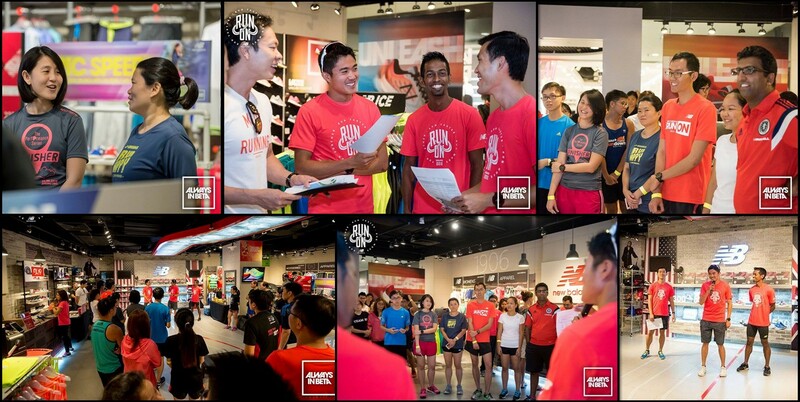 The event started around 4pm at the New Balance Experience Store @ Kallang Wave Mall. 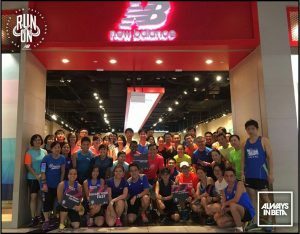 Participants were given the chance to mingle around with each other and also shop around the store as there was a 40% discount off New Balance Performance Gear which we could utilize after the training session. 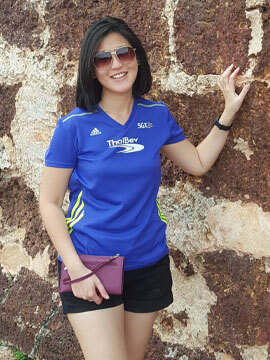 One of the event highlights was that we got to meet 2x SEA Games Gold Medallist, Mok Ying Ren! It was really nice of him to be present even though he was recovering from dengue. There were two other 2015 Team Singapore athletes who were also New Balance Ambassadors that were present at the event; they were Colin Tung and Shah Feroz! The three of them quickly introduced themselves and kick started the programs for that evening. The session begun with warm-up exercises which made up of some dynamic warm-up instead of normal warm-up static stretches. This was something which I found useful and I could do these warm-up moves before I go on my jogs. After warm-up, the actual training run started, we had to do as many rounds the 100 Plus Promenade in 30 minutes. The group was split up into two and were lead by the different group pacers. My group completed a total distance of 4.3km which is 4 rounds around the 100 Plus Promenade. It definitely felt good after that run. After all the participants had returned, we all did some cool down stretch before we went on to the next program. The trio led the cool down session and emphasized how important it was to stretch after a workout. As usual I couldn’t really do all the stretches as I’m not very flexible and I struggled. This means more conditioning work for me. 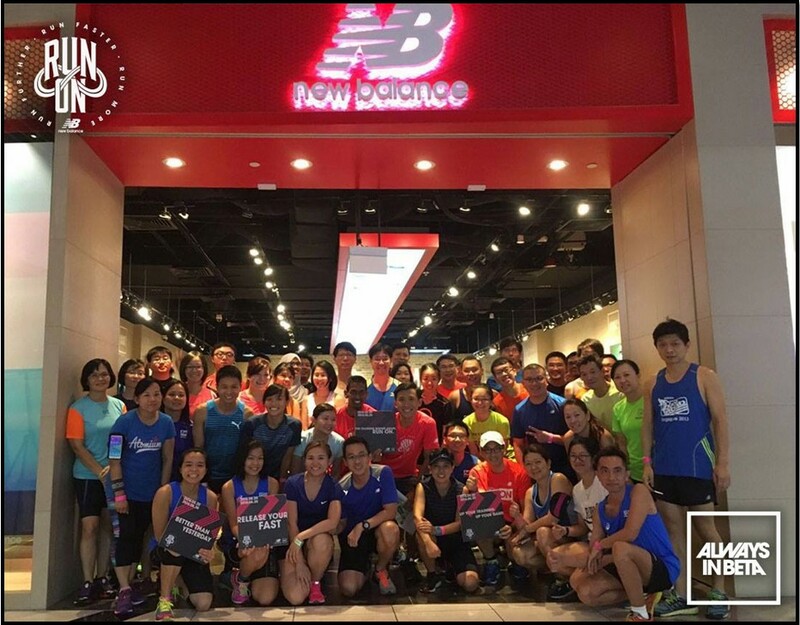 After that was done, we all headed back down to the New Balance Experience Store @ Kallang Wave Mall for some drinks and refreshments. I managed to grab photo and have a short chat with Mok Ying Ren about his 1 year stint in Boulder and how he felt being back in Singapore. It was interesting hearing about his overseas stint. Soon it was time for the next part of the program. This was the main highlight of the training session! 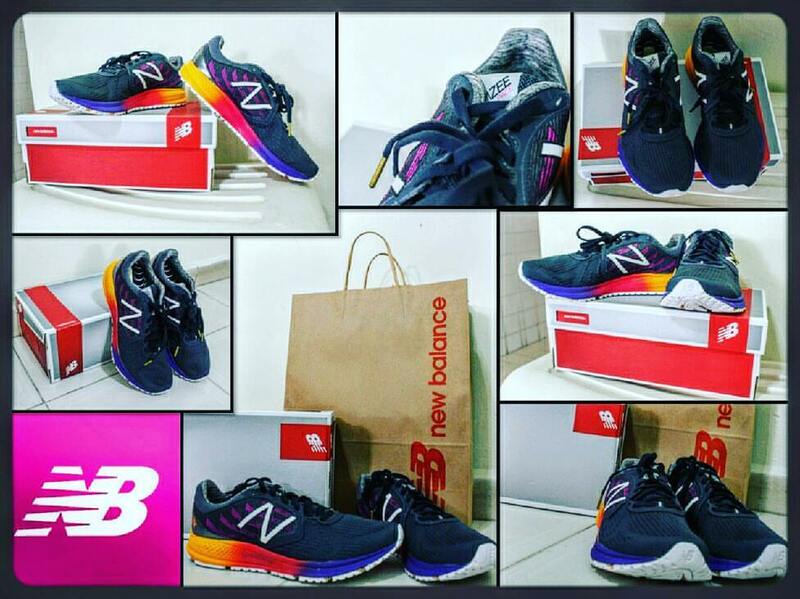 It was the Shoe Hunt where 8 lucky participants would get to walk away with a pair of New Balance Vazee shoes! Sounds easy enough right? Not really when you’re already tired out from the training session and you have to race with all the other participants just to hunt for those hidden shoes around Sports Hub. The 8 different locations of the shoes were revealed and all of us were released from the store at the same time to go ‘hunt’ for these hidden shoes. As soon we were given the go ahead to find the shoes, I raced off to the location that I had in mind to look for the hidden shoe. I was really nervous and I took some time to find it. It was hidden at a back of a signboard. I quickly took it and raced back to the store. I was lucky number four to have found the shoe. 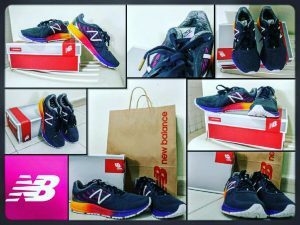 I was rewarded with a pair of New Balance Vazee Pace v2! After all the 8 pairs of shoes have been found, there was the prize giving session and the collection. 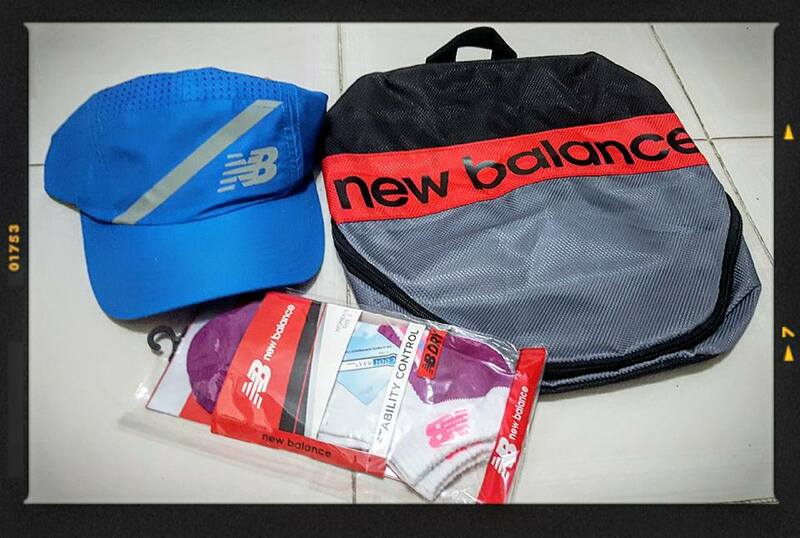 On top of that all participants of the training run received goodie bag with some really cool New Balance stuff! That was the end of training session 01. The second training session was conducted after work on a Thursday evening. When I got to the New Balance Experience Store @ Suntec City Mall, there was a huge crowd there already. I saw some familiar faces on like fellow Instagrammers and bloggers. The second training session main highlight was the Vazee Circuit and this circuit was to be completed in a group. My group consisted of my brother, Joshua, Jennifer and Cheng Yee. The program started promptly at 7pm. Two familiar faces were up front at the store welcoming everybody and they were none other than Colin Tung and Shah Feroz. They introduced the evening program and the rules of the Vazee Circuit. The Vazee Circuit was made up of a run and body weight circuit exercises! As Colin introduced the exercise for each station, Feroz demonstrated the moves. I was freaking out a bit as I’m not good in doing conditioning exercises and this was going to be a challenge. After the introduction was given, we all headed out of the store and headed for the Padang. There we did the dynamic warm up exercise which I’ve learnt in Training Session 01. I could see that the others who were not there for the first event were listening intently. We were then lead to do a short warm up run along the Singapore River to familiarize ourselves where the five stations of the Vazee Circuit was located. Once everybody was back from the warm up run, they asked us to stand with our groups. The organisers gave us a final briefing on what we were supposed to do. The rules were simple, to win be the fastest group to complete all 5 stations and return back to the START point. Now that sounds simple enough, but it’s not all about speed it’s also about the luck of the draw. The card you draw will determine how many things from each station you have to complete. You could sense that everybody was really eager to race and finally the go ahead was given and everyone dashed as fast as they could to their first station. Our team had to complete 30 push ups, 45 seconds of leg raises, 30 seconds of plank, 15 burpees and 5 seconds of squats and race back to the Starting point. We came in a respectable 7th position and though we didn’t win anything, we all had a good workout and fun together! Clearly we were very tired as we never tried to clear the circuit so fast. We headed back to the store at Suntec City. Before the event ended, we took some final photos and purchased some new balance gears! Overall I really had fun at these two events! Big thanks to the organisers on doing such a wonderful job! 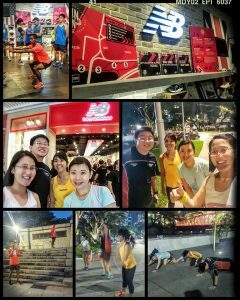 Super enjoyed these two lead up run sessions and thank you so much for that AWESOME pair of New Balance Vazee Pace v2! I am sooo looking forwards to the actual run event which is happening next week! See you all there! #RunOnSG. Till my next blog post! 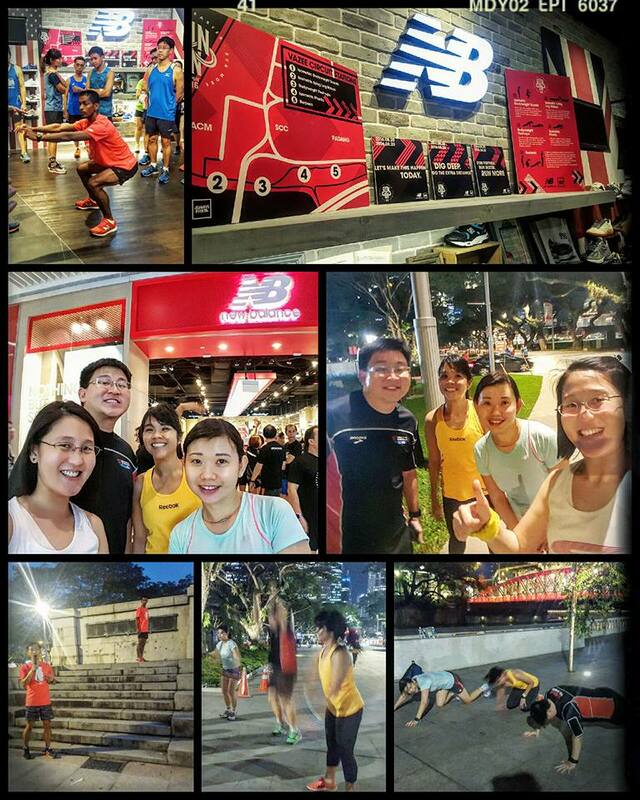 Photo credits: New Balance Run On Singapore.